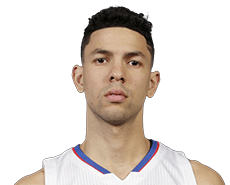 Austin Rivers at some point may actually want to thank Al-Farouq Aminu of the Portland Trail Blazers. It was an errant elbow by Aminu in the second quarter of the Clippers’ season-ending 106-103 Game 6 loss at Portland on Friday that busted up the left eye of Rivers. Rivers missed a quarter of action and came back with 11 stitches around the nearly shut eye. He went on to play an almost-unbelievable game, under the circumstances. He scored 21 points, grabbed six rebounds and had eight assists. Rivers has a player option for $3,344,106 for next season. Considering he made $3,110,796 this season, it’s not likely he’ll exercise it, not with Game 6 now in his negotiating bag. His father, Doc Rivers, is head coach and president of basketball operations for the Clippers, The elder Rivers was asked Monday if his son’s stock rose with his gallant performance, which was made possible by Aminu. “I don’t know,” Doc Rivers said. But the more he spoke, the more it was obvious his son had put himself in a desirable position because of the courage he displayed. He was getting stitches in his eye. It hit him following the loss, though. “Then after the game, obviously, I mean, when you look at it now, you think, ‘Wow, don’t know if I would have done that, or could have done that,’ ” Doc Rivers said. “And so that was good. It was good for him. But that’s who he is. That’s what makes him good. The salary cap is an issue. The Clippers – not including player options – have roughly $78 million in guaranteed contracts for 2016-17, when the cap is expected to rise to about $89 million. Jamal Crawford, Luc Mbah a Moute, Jeff Green, Pablo Prigioni and Jeff Ayers are free agents and Cole Aldrich and Wes Johnson have player options, so there are those considerations. One thing’s certain, Doc Rivers is proud as a peacock. Missing Chris Paul and Blake Griffin, the Clippers did very well to trail the Trail Blazers by just 50-48 at halftime of Game 6 of their first-round playoff series on Friday night at Moda Center in Portland. Not only are the Clippers without their two best players, guard Austin Rivers took a vicious elbow to his left eye from Trail Blazers forward Al-Farouq Aminu with 6:46 left in the first quarter. Rivers suffered gashes over and below his eye and took stitches in both areas. He returned with 5:03 to play in the second quarter. 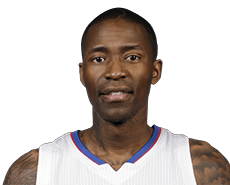 Clippers sixth-man Jamal Crawford led all scorers with 22 first-half points. Jeff Green, who started at one of the forward spots, scored eight. Portland guards Damian Lillard and C.J. McCollum scored 14 and 11 points, respectively. Paul is out with a fractured third metacarpal in his right hand. Griffin is out with a partially torn left quad tendon. The Trail Blazers led the series 3-2. As if things weren’t bad enough for the depleted Clippers, guard Austin Rivers went down in heap with 6:46 left in the first quarter of Game 6 on Friday when he took caught a vicious right elbow to his left eye delivered by Portland forward Al-Farouq Aminu. Rivers was down for several minutes, bleeding profusely. He eventually got to his feet and was escorted to the locker room. Rivers was replaced by Pablo Prigioni. Rivers took stitches above and below the eye and was considered probable to return, according to the Clippers. The Clippers are already missing point guard Chris Paul and Blake Griffin to injury. – Chris Paul, the Clippers’ best player, sustained a fracture of the third metacarpal of his right hand. There is no definitive word as of yet, but Paul is likely done for the playoffs. “He’s going to get it evaluated tomorrow, but it obviously doesn’t look very good for him,” coach Doc Rivers said post-game. – That’s not to mention that Blake Griffin was unable to play down the stretch because his left quad tendon, which is still partially torn, began acting up again. Rivers at first said, “It doesn’t look great for him, either,” Rivers a minute later said he would guess that Griffin might be 50-50 for Game 5 on Wednesday at Staples Center. The series is tied 2-2. – There’s more. J.J. Redick, who is fighting a sore left heel, shot 3 of 13 (for eight points) after shooting 2 of 10 in Game 3. He told reporters at the morning shootaround that the only way it’s going to get better is if he stays in bed for two weeks. He said it’s going to bother him as long as the team is in the playoffs. – Portland guards Damian Lillard and C.J. McCollum were the difference in Portland’s Game 3 victory. But they were not overwhelming in this one. McCollum had a nice game with 19 points on 6 of 13 shooting, Lillard scored just 12 points on 4 of 15 from the field. Instead, it was forward Al-Farouq Aminu who did in the Clippers with 30 points on 11 of 20 shooting – 6 of 10 from 3-point range. – There was one bit of good news for the Clippers. Reserve forward Jeff Green had his best game of the post-season. He scored 17 points on 5 of 10 shooting – 3 of 6 from beyond the arc. He also had five rebounds. BONUS TAKE: The Clippers shot just 35.7 percent from the field – 28 percent (7of 25) from distance. Blake Griffin played very well in Game 1 of the Clippers’ first-round series against Portland. He scored 19 points on 5 of 10 shooting and also grabbed 12 rebounds and doled out six assists in his team’s 115-95 victory. He wasn’t as good in the Clippers’ 102-81 Game 2 victory, scoring 12 points on 4 of 12 from the field; he also had nine rebounds and four assists. Then came Saturday’s Game 3 in Portland, when he really struggled with his shot. He scored 12 points while shooting just 5 of 16. He had seven rebounds, but none on the offensive end. He had four assists and two steals, but he also had a crucial turnover down the stretch, when the Clippers were outscored 15-3 over the final three minutes, 52 seconds of Portland’s 96-88 win. If the Clippers are to have any chance of advancing deep into the playoffs, it figures Griffin will have to be at least close to being himself on a consistent basis. Having missed 45 consecutive games before playing five of the final seven in the regular season, that won’t be easy. Griffin on Sunday afternoon talked about what he needs to do when the Clippers play the Trail Blazers in Game 4 on Monday night, again at Moda Center in Portland. The Clippers lead the series 2-1. After Game 4, Game 5 will be back at Staples Center on Wednesday night.